Nandamuri Tarakarathna is all set to hit the screens this Sankranthi with Nandeeswarudu. The movie is releasing in a big way with over 250 prints in Andhra Pradesh. Sources say that out of this, about 60 prints are physical while the rest are digital. The movie is hitting the screens on January 15th 2012. Nandeeswarudu is a powerful story that has been inspired by the Kannada hit flick ‘Deadly Soma’. Sheena is the heroine opposite Tarakarathna in this film and ‘Anji Sreenu’ is the director. The movie has been produced on Kota Film Corporation banner.Pardhu has scored the music. 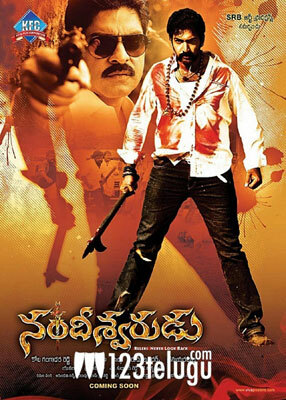 Nandeeswarudu is one of the three Telugu movies in the fray for the Sankranthi race. Bodyguard and Businessman are the other films.